At 6.00am, her nanny calls out her name and informs her that she needs to get up. She ignores the first few pleas. She turns over on the top bunk, curls like a ball and pulls the duvet over her head. Eventually, the nanny tells her that she can sleep all she wants and skip school, then pretends to walk away. “But I want to go to school!” She protests in a faint drowsy voice as she drags herself out of bed. 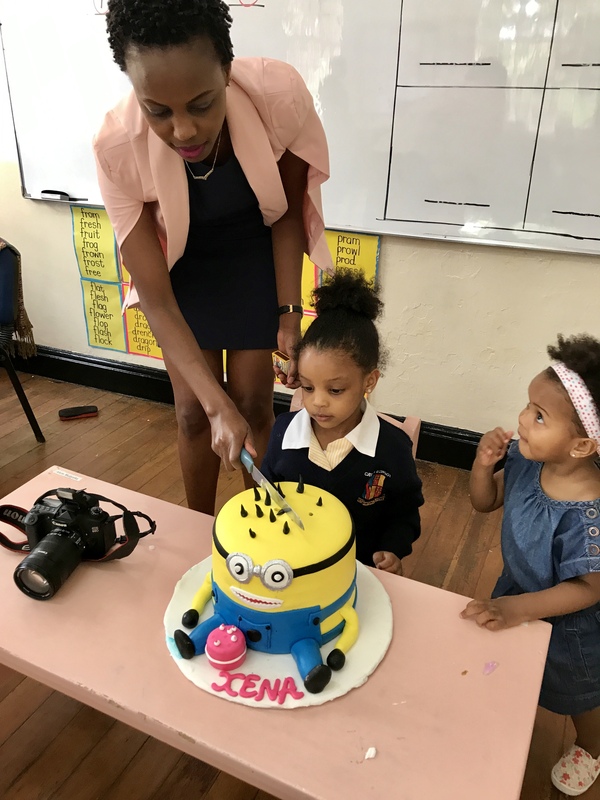 Xena has been passionate about school from the first time she set her tiny feet in one. A while back, I recounted her reaction on her first day at school in the post So Long, Farewell. She was two years and three months old when she started school. 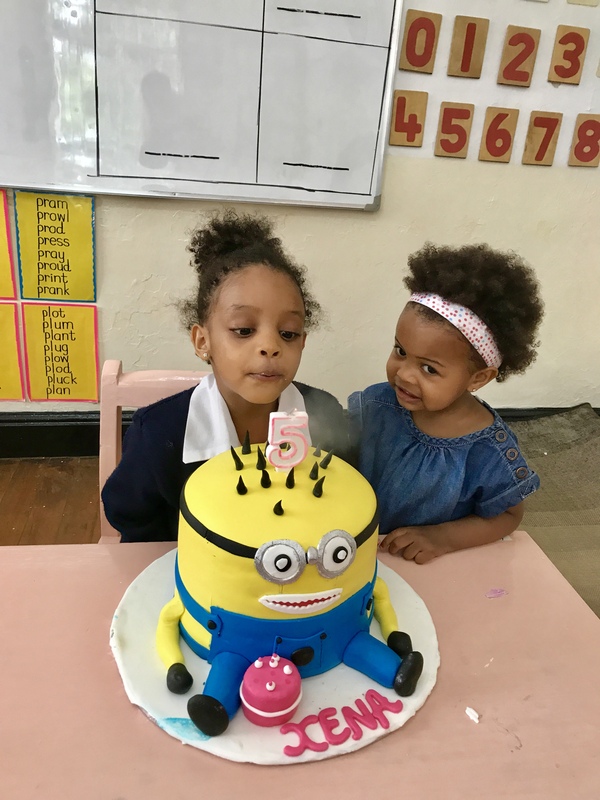 At five years now, the urge to play and learn and interact with other kids is still as inexorable as it was on day one. She will then go to the washroom to empty her small bladder. And once she walks out of that room, she will break into a stream of endless chatter. She will run off at the mouth as she goes down the stair case all the way to the kitchen. At the dining table, one has to constantly remind her to eat and swallow her breakfast. Otherwise, she is happy to just sit and talk. It muddles me how one can have the desire or energy to babble right after waking up. Lately, she talks about her dreams. Not the ones she hopes to achieve, but the ones that occupy her lively mind when she is deep asleep. She is quite imaginative and descriptive in her tales, and I find myself longing to listen to them. Except when she ambushes me at the break of dawn when all I want is to bathe myself in silence. The other day, she walked into my room excitedly. It was a Tuesday morning and I had just come from a challenging but fulfilling 16.2 kilometre run around Kileleshwa. It was 7.00am and she was already dressed up in her mini school tunic and white stockings, hair held up in a pony-tail. “Mama, why are you sweating in the morning?” She asked, staring at the beads of sweat on my forehead. “Because I have just woken up.” I said. “If you know the answer why do you ask?” I retorted as I spread my legs apart in a failed attempt at a split. I landed on my bum with a thud. She laughed. “I wanted to tell you about my dream.” She said. “What was it about?” I inquired. “Really? How did they walk without getting all smudged up?” I asked. “They hopped on the tips of their sticks. Like this.” She said as she sprung around my bedroom on one foot. “Right. Who taught them how to swim?” I asked as I walked towards the bathroom, my tube of Coco Shea Creamy Body Wash from His & Hers Scents in hand. I’ll tell you about this piece of heaven someday, but just know that I guard it jealously and I can’t even let it sit in the bathroom for fear that someone else will use it! “And then they left the river and ran back to the shop before the shopkeeper could discover they had disappeared.” She added. “Oh, where was the shop keeper all this time?” I asked. “Taking a nap under the counter.” She said. Moments later, I stood under the shower as the water fell over my head in steamy rivulets, the smell of coco butter delightfully filling the small space. I thought about Xena’s narrative. How she did not flinch when she narrated her dream, even as I tried throwing her off-balance with random questions. She has the gift of gab. In her, I see a literary genius. 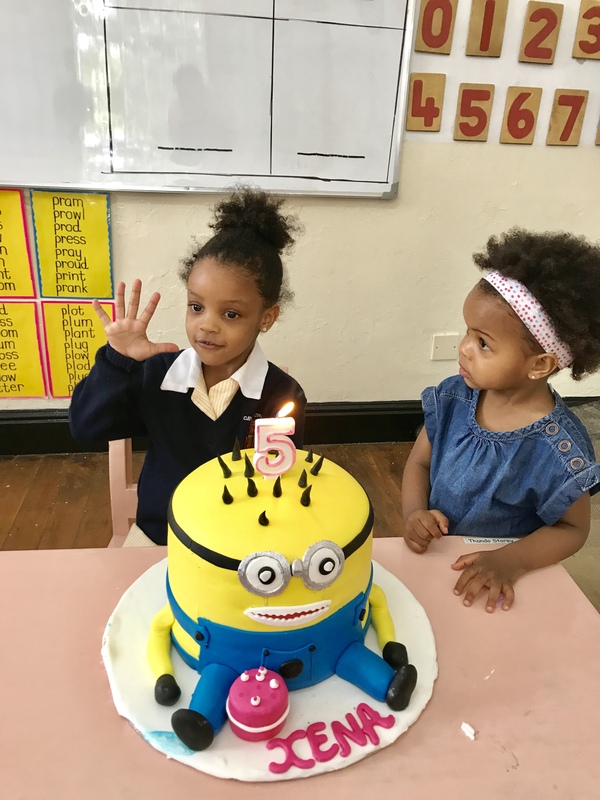 She turns five tomorrow, but we celebrated her birthday in school today. May she stay curious and hungry to learn. May she remain loving and protective of her sister, and empathetic towards those around her. May she always respect her elders, but also, may she be bold enough to speak to her daddy and I when she’s in trouble. May she break boundaries and live a fulfilling life. Above all, may she find favour in God. As a self proclaimed Xia rights activist, why is our ( yes our, we are a following now😅) leader look frustrated in the first two pictures 😈. How adorbs are the beauties though, Good Laawwwwwddd!!! Thank you Maureen! Pass my love to the boys! Thank you, Eva and congratulations! Happy fifth birthday Xena! May God protect you always! Amen and thank you for being the best aunty! You are so sarcastic and clever for your age…..Being a lover of sarcasm,the dosage in your posts is always enough to keep me going..Atleast for a week. May God’s favour always be upon you little miss. You are too kind, Alexia. 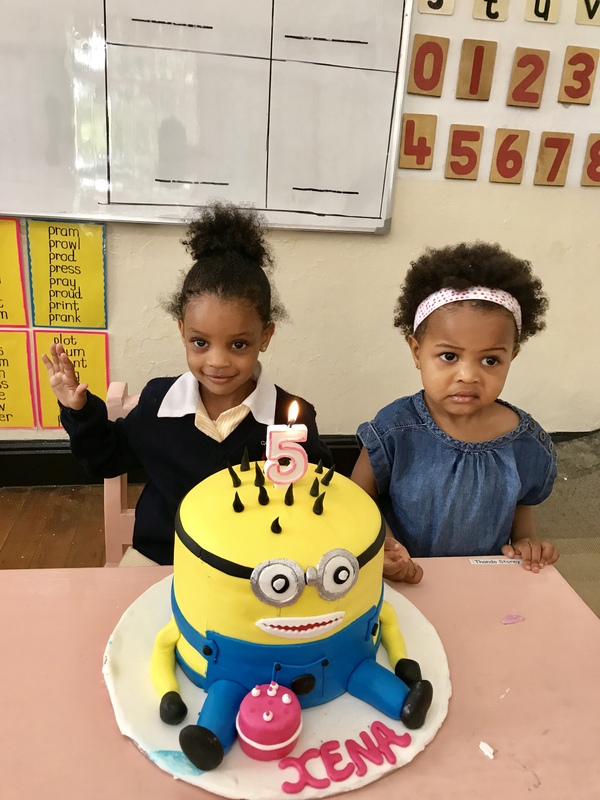 Happy birthday Xena and as always May God’s Favour be upon you little miss. Happy Birthday Xena. May you continue to grow in God’s ways miss brains! I love that dream…..I can just picture ice-cream swimming…..lol! Amen and thank you, Faith.